A new Venom trailer was unveiled at CinemaCon 2018, but we have the leaked footage here and it should please many a fans. We got our first look at Venom back in February with a teaser trailer released alongside Black Panther. While it definitely got people aware of the Spider-Man villain movie, the fact that there was only a glancing glimpse of the symbiote, and not a hint of a transformed Eddie Brock left many fans wanting. The short clip, which appears to show Hardy's Eddie Brock being taken over by the symbiote to terrorize some kind of criminal, also reveals that the movie will retain a familiar idea from the comics: Venom refers to the merged human/symbiote as "we." The symbiote in the comics has a consciousness of its own, complete with its own needs and desires. 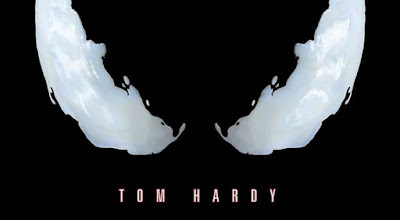 In other interpretations, including Sam Raimi's Spider-Man 3, the Venom symbiote has often been treated less like a conscious entity and more as something that possesses a generally dark psychic energy that influences Peter's decisions rather than making its own.The short clip, which appears to show Hardy's Eddie Brock being taken over by the symbiote to terrorize some kind of criminal, also reveals that the movie will retain a familiar idea from the comics: Venom refers to the merged human/symbiote as "we."